Sometimes it happens; the first time I watched Drive I just didn’t get it. I was expecting something else, I was watching with the wrong mindset, I was distracted; who knows, but I just didn’t understand the critical positivity, and I simply didn’t like it. 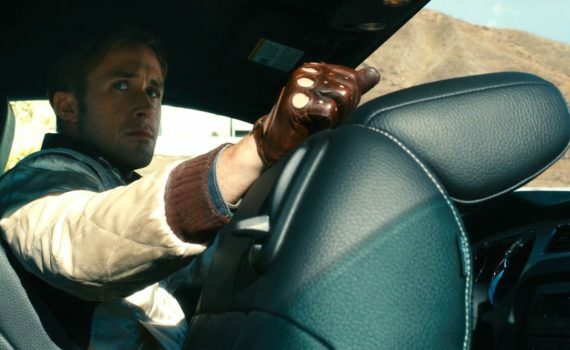 As I’ve grown as a writer and a movie-goer, I’ve learned to appreciate Nicolas Winding Refn and his unique style, making my negative opinion of Drive begin to seem odd, even to myself. I enjoyed Valhalla Rising and The Neon Demon so much; I knew that I had to rewatch and reexamine the one that got away. I’m so glad that I did, because this film is so much better than I gave it credit for the first time around. Our hero is a driver, and he doesn’t supply a name. What he knows is cars; mechanic, stunts, getaway, whatever it is that you need. He’s a kid with talent cruising the streets of L.A. with a hot rod for hire, mixing with the low life of the city not because he fits in but because he has nothing better to do. When he meets Irene, he begins to feel a tug that could get him out of this shadowy existence. But when the father of her child is released from prison, he brings a criminal element home that only a professional driver has the tools to negotiate with. He doesn’t do it for the guy, he doesn’t do it for the money, he does it for the girl, and his simple existence is about to get complicated. NWR is one hell of a director, someone who knows how to mix mood with blood until the consistency is just right. The L.A. landscape, the fast cars, the lowly mobsters, the inherent violence; you can almost taste the octane of the fuel and the metal of the bullets. I didn’t appreciate that the first time, I wasn’t ready for the blunt force trauma of the story, but the second time around showed me what I had been missing. Ryan Gosling is a super-duper star, and he lays it all out there for this film. He’s backed up amazingly, which helps, and the entire cast comes together to build something special. Mulligan, Cranston, Albert Brooks, Oscar Isaac, Ron Perlman; there are some career performances on display here. Prepare yourself before you go in, because this isn’t a movie for everyone. But open up your cinematic taste buds, welcome something different, and you’ll be rewarded.